My hat is off in tribute to all the many talented artists that are able to produce mind boggling work in PAINTER. I have been having a hell of a time getting into that program. There are so many different mediums and brushes and glazes and... well, it can certainly feel overwhelming at times. I have been goofing around with various mediums trying to get a grasp on how they all work and what the brushes all do. Last night I was attempting the Watercolor. Crazy stuff! This little sea monster was the result. 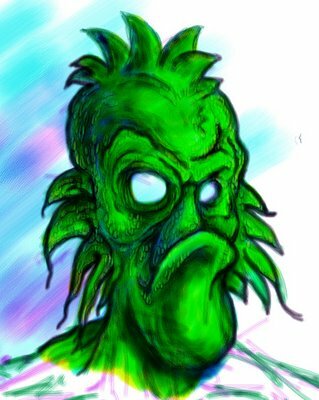 I spent about an hour creating this guy- still amazes me to see the brush strokes "soak" into the digital canvas. Any one with some good tips on working in PAINTER out there, I would be thrilled to hear from you! That guy is cool as hell. I really like him. Yeah, Painter does way more then I could ever do... I stumbled upon the grease pencil and blenders really early and never moved out into anything else... 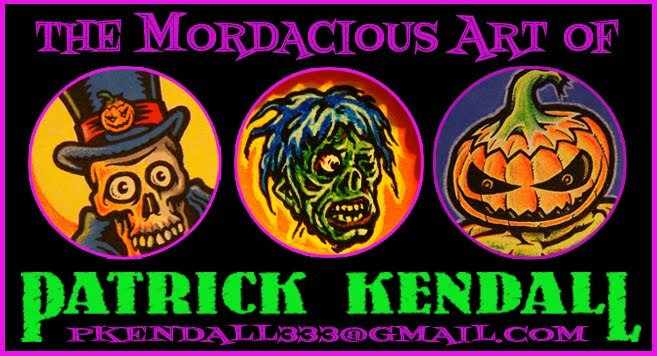 I make it mimics the tools you like to use in the real world and stick with those until you feel comfortable working in painter, and then branch out into the other corners of the virtual art store. If you can swing 25.00 for a month worth of access http://www.lynda.com/ is a great asset, I was lucky enough to get access through work. The training videos are great. But I think you're off to a good start! Thanks Scottra! I do appreciate the comments! I am actually really enjoying the PAINTER stuff, it is just much more complex than painting in Photoshop, and thats a good thing- but when you are used to just grabbing the paintbrush and going to work, it kind of boggles the mind when you see all of the options available in PAINTER! I am determined to pick up on it tho, and I will stick with it. I was working with Gouache last night, and actually quite liked that. I will be posting more stuff here soon. Hey Patrick, thanks for the kind words over at my blog! I appreciate it. I responded to you over there but I'll repeat here... you may know this already but the term for type that reads the same when upside down is "ambigram" If you google that you'll get all kinds of info. But, the current living master of the ambigram has a website you should check out. yeah painter is one of those programs I would love to be able to be good at...but then again Im not really good with colors so thats another hurdle. great stuff patrick and always nice to see the creative push.Cant wait to see what you come up with next! looks like your getting the hang of painter.